Capitalists@Work: Zero Hours: No work, no pay. Zero Hours: No work, no pay. Ed Miliband is taking on zero hour contracts. Its estimated there are 600,000 zero hours contracts in the UK at present. That's a possible problem for BQ Industries. We have 90% part time staff these days, for a variety of reasons. Can't say I have much problem with that. Zero hour contracts in their current form are pretty low. I wouldn't take one. Wouldn't be offering one either. If that is what Mr Ed is proposing you can see the holes in it. The easy way to get around the legislation. The really onerous part of zero hours is the employee must attend when the employer wants, but MAY not be needed from week to week. - So point 3 is the best one. I say MAY because in the majority of cases in my experience these workers do get their work every week. It may not be 40 hours, but it will be 4-8-12-20 hours etc. So I expect the sum of all this legislation would be to move the zero's to a 2 hour contract, with fixed hours on the busiest day, and an option to work extra, if work is available. The change for the employer would be they have to pay sickness and holidays and bank holiday pay, something that some of the current zero hours companies have been accused of not paying. The change for the employee would be they could work for multiple employers. As I said, BQ Industries has moved over the years from 80% of employees on full time, 40 hour contracts, to 90% on part-time contracts. We start at 4 hours and go up to 30. These are fixed hours, fixed days , but as flexible as could be. We employ, in the main, older ladies, 40s, 50s 60s, who's partner's have their own business. They can work for us for a guarantee income, but can also chop and change to suit their own business needs. Only very rarely is this a problem for us. We also employ, mother's with school age children who can work school hour without paying childcare costs. Students, who fit in hours with timetables and people with other part time jobs at other workplaces and the retired who don't want to work 40 hours anymore. So, in the main, we are not a full time contact employer. We moved to part time as costs forced us too, and as we had fewer, did better analysis of what we actually do. We are, like many businesses, busier at certain times. We have more hours available on a Monday and a Friday and barley anyone in on a Thursday. We don't pay enough or for long enough that you could earn enough to live on. But that's not who we are employing. We are employing second incomers.Spouse has good job, or need a secretary/accounts keeper, so ours is their second income, and students and retired people. When I worked for a fashion company, employing much younger people, the average worker was employed for 12 months, then moved on. Many made barely a month. Senior staff more like 5 years. At BQI - the AVERAGE, of our part time hours workers, is 8 years. Many have 10+. I have a feeling that zero hours contracts are just another CostaLiving soundbite. The latest bogeyman. The new fixed-odds betting or Wonga. Something for a young, left wing idealist activist to man the barricades against and overthrow. And something, like the Wonga & fast betting, that once banned isn't going to make much difference at all. Ed needs to realise that his vision of an army of contented rigid-hours workers is a soviet fantasy. Having never actually had a one, he thinks that a job is simple economic unit. Ed's utopia, France, blazes a trail with all this rigid nonsense. The French socialists actually thought that a 70 hour role could be split into two people doing 35 hours. Because it's all just a "job". Idiots. I think that employment regulation should be limited to ensuring that people aren't exploited. Other than that we should all have the freedom to enter into contracts. The overall point is that there are horses and there are courses. What worries me is that it is quite likely that we may get a couple of years of this crap from a PRIME MINISTER. You can spot the loopholes already with, as suggested above, a 2 or 10 hour contract. Or the mention of an opt-out. Maybe some employers will just take people for 8 hours and offer "overtime" with no increase in pay per hour worked? It all sounds rather timid and points to divisions in Labour between those wanting big regulation and others worried about scaring off business for good. To "Blue Eyes", the 35 hour week wasn't so much 70 > 35 hours, more 40 > 35. But it's still proven a disaster as it meant employers sweat their staff to the max, some factories time cigarette, coffee and even toilet breaks to ensure workers complete their required 35 all while wages were held down. Meanwhile middle-class professionals continue to pull long hours in the office but get time off in lieu meaning 70-80 days of holiday a year. In short the workers got the shaft while middle-classes get big leisure time. And of course it never created a job, heavy regulations and payroll charges conspire to keep near 3.5 million French unemployment. "barley anyone in on a Thursday": wheat are you talking about? He is concerned that minimum wage has become maximum wage in many areas. Only supported workers can take zero hours. What I'm afraid might happen is that we return to the gaffer at the factory gates picking from a crowd of people desperate for a day's work. None of this would have happened without mass importation of cheap labour and - as I keep saying - it is not 'cheap' and nor is it particularly capitalist. It takes an awful lot of taxpayer subsidy to make it work. Especially single mums working to optimise supplementary benefits. Perhaps Mr Business man's wife wouldn't have to work at BQ industries if he didn't have to pay so much tax or compete for his housing with welfare-to-landlord housing. Do we really thing that people like to work for more than one employer or would continue to do so if - say - they'd had a mid range lottery win ? I know people who do this and they hate it. As always your comments throw up extra issues. BE: We also employ people on contract. This is the same as the part time work. But the 'employee' is NOT employed. They are self employed. They get no holiday or sickness, are free to work as and when. The advantage for them is they have two or three clients that they sub for and the taxation is far less and they can claim expenses for travel and food clothing etc. For us, it makes very little difference. I expect the treasury are losing out significantly. Couldn't agree more. And at a senior level that is pretty much what we all do. Sort of. Serval: Thanks for that. 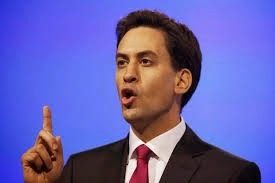 yes , the Milispeech does look timid. I actually think he could be braver on this issue. Not axing part time work but, as BE suggested, ensuring exploitation is impossible. Have you seen the new French idea ? No work after 5.30pm BY LAW. Not answering a mobile or an email? That's exactly how I felt.- in 1995. When a mobile and a hand held stylus thingy were cutting edge devices. skilled job whilst paying others to do nothing. I do remember in the early 00's when it was almost impossible to recruit in the home counties. There just weren't enough people available. Unemployment was 1% in some areas. 1% are the mad, criminal, disabled and terminally lazy. Where I am extolling the virtues and saying its wonderful, well...it is. For many. But I except, not for all. Those working for two employers do so because they cannot get work at one. That is correct. And they seem the least satisfied. But.. its not 1975 anymore. We have flexitime to keep us competitive. For example, right now,Saturday morning, I am at work. i work until 1 or 2pm each Saturday. Paperwork/admin/faffing about. But our business is busier on the final and first week of each month. So I found on some Saturdays there were that many calls I was distracted. So now i have someone in for the 4 hours Saturday morning, first and last week of month only. If I had to employ someone on a full time,40 hour, above min wage contract, then... well...I'd be here on my own as I used to be. These 4 hours of work only exist because its possible to make them pay. Sometimes, like now, my assistant has made some tea and read an email or too and probably played Flappy Bird for half an hour. Other times, we call someone else in, as its so busy. The person doing these hours has worked for me on a 10 hour, contract for 6 years. These 4 hours are an extra, available if you want it. If no one does, then its just me. Gov figures will back me up. More people are employed. We employ more than we used to. But its certainly more people doing less hours. Now. if we could not get people to do these flexi hours, we would employ full time workers. But many fewer. But as it stands, we have no problem finding people and never have. The supermarkets don't have a problem either. And remember BQI and Costa and Waitrose etc, are employing those not really in the labour market. If we could ONLY employ 40 hours people, we would have far less people. Actually BELOW what we need. I know this to be true because we've been through it. Retail had 500% rent/rates rises. profitable units became unprofitable. And competition brought a price squeeze so the usual trick of increasing prices was not really possible. So the race was to source cheaper goods and have lower labour costs. And those labour costs are cut not by paying less,[though you may disagree] but working less. We have looked many times at the workplace here. Cu and ND and BQ have all wondered about the future of employment, without finding much of an answer. But you can't go back. And even if you could we tried it and it didn't work. And France is showing us just how it doesn't work. Higher unemployment, lower productivity, higher taxes, greater state intervention. That's just not going to help us. Migrants lowering wages ? I don't know. As Mr Farage says there seems to be trending towards minimum wage as maximum - doubtless it would fall through that floor if it could. I recall we used to have part-time working. Zero hours wasn't heard of. Builders more often used to be paid on piecework but they could take their trade from site to site and fill in on their own terms. I don't say that zero hours is wrong every time but it is too easy for it all to go that way. I don't believe that the Nu Labour (immigration) years benefitted our country economically - if so then why are we bankrupt and why are we becoming more indebted ? I sound like a socialist but I'm not. I suppose I'm a social Conservative. It must be difficult being a boss. Thanks for the taking the trouble of responding so fully. You have done a great job. I will definitely dig it and personally recommend to my friends. I am confident they will be benefited from this site . I really loved reading your blog. It was very well authored and easy to understand.